Wednesday, October 10th, marked the 2018 Hunzicker Brothers OKC customer appreciation day. We had a great turnout and thank all of our valued customers and vendors for participating. There were 32 manufacturers present with representatives demonstrating the latest in new products and services. If you had a special need for ANY application, one could be discovered by touring table after table of the industries finest. Lunch was served by Head Country BBQ and there was plenty of ribs, brisket, sausage, and chicken to feed the healthiest of appetites. A big thank you to CR Head and his crew for preparing an outstanding meal. Finally, the main attraction... 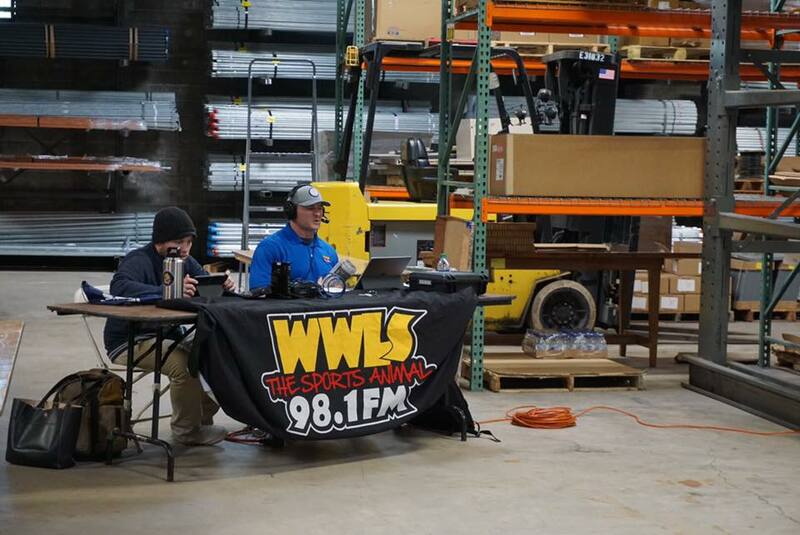 Dusty Dvoracek with WWLS The Sports Animal was broadcasting live from our warehouse. We hope you had the chance to tune in as Dusty had a very satisfying interview with former Defensive Coordinator, Mike Stoops. Again, a BIG THANK YOU to our Customers, Vendors, Employees, Head Country, and Dusty Dvoracek and WWLS for making this such a great event.